In terms of rivalries in world sport, there is arguably none as fierce as that between the Australia and Indian cricket. The team at Dickson Films have traveled far and wide on both continents to explore this fascinating sporting rivalry from its inception until the present day.We explore the stories behind the remarkable 1986 Tied Test in Madras, the gripping final over bowled by Greg Matthews plus the remarkable nature behind Dean Jones double hundred.Fast-forward 15 years and the 2001 series between the nations is widely regarded as one of the best series ever played by Cricket purists. In particular, the dramatic Third Test where a plucky young off spinner named Harbhajan Singh ripped through Australia to take 15 wickets for the match, and lead India to victory.But it was the infamous Monkey Gate scandal in the 2007/08 series where relations between India and Australia reached its lowest ebb. This feature length Documentary goes behind the scenes to hear the real stories from the stars themselves how and why the incident was so highly publicized at the time. India was bullied by the likes of England and Australia for many decades, but in this documentary, the rise of India into a genuine powerhouse is chronicled in fascinating detail. 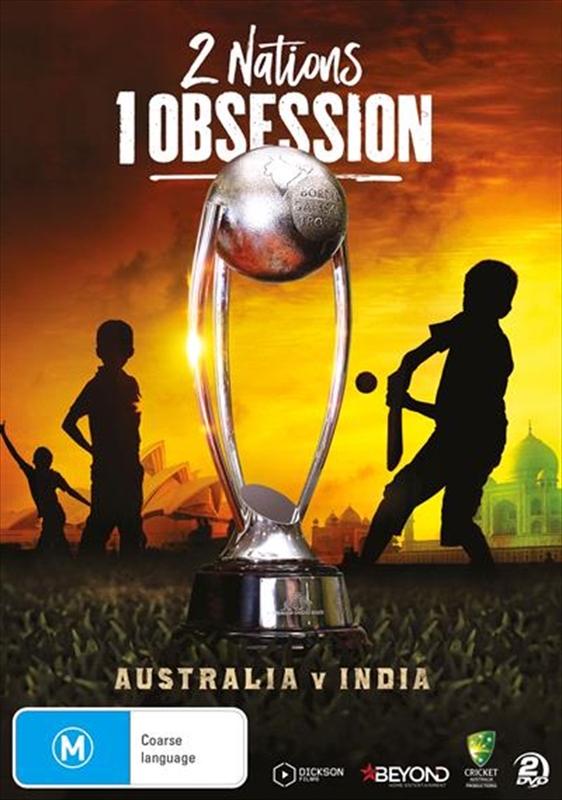 No longer is the BCCI seen as the poorer cousin to the cricketing giants it now rules the game.Border, Gavaskar, Matthews, Gilchrist, Shastri, Clark are just a few of the names who feature prominently during this film. 2 Nations 1 Obsession isn't just an epic Cricket story its a tale of how two countries with such different DNA - can be brought together for the love of a game.